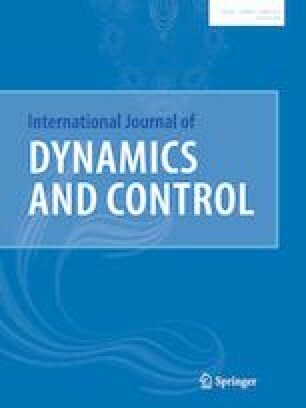 The paper presents a thorough bifurcation analysis of detailed permanent magnet machine with feedback drive, showing the effect of different control and system parameters on the bifurcation and the associated system stability. This study addresses the nonlinear behavior of the PMSM under parametric variation. The analysis of the phase space and parametric singularities are developed in order to identify some specific properties of the PMSM either uncontrolled or under state feedback control. A bifurcation structure of the uncontrolled PMSM in both motor and generator operating modes is identified in the speed-torque chart. The analysis of the complex dynamics of state feedback control of the PMSM permitted to define analytically the bifurcation surfaces of saddle-node (Limit point) and Hopf bifurcations. Seeking broader areas of parametric singularities led to establish the analytical existence conditions of bifurcation manifolds and particularly the bifurcation surfaces. The appearance of intermittent chaotic areas interspersed with cascading bifurcations by doubling the period of limit cycle has been observed in the controlled PMSM. The analysis of the attraction basins in the phase plane, and the synchronization regions in the parametric plane with constant initialization, pave the way to further characterization of the PMSM dynamics with different types of control methods. This paper was not presented at any IFAC meeting. Corresponding author Souhail Wahid. Tel. +21696812290. Fax +XXXIX-VI-mmmxxv.